Poachers were looking for rhinos. They found hungry lions instead, game reserve says. Sometime after the sun set Sunday, a group of men entered a dark South African reserve carrying a high-powered rifle, a silencer, an ax and a wire cutter. At least one of them never made it out. Sometime after the sun set Sunday, a group of men entered a dark South African reserve carrying a high-powered rifle, a silencer, an ax and a wire cutter – tools that poachers use to shoot and kill rhinos before sawing off their horns, according to Nick Fox, the owner of Sibuya Game Reserve. At least one of them never made it out. Early the next morning, an anti-poaching dog on patrol started barking, and its handler heard a “loud commotion coming from the lions,” Fox told HeraldLive. The men were apparently attacked by the big cats. Fox told Newsweek that a skull was later found in the area, as well as “one bit of pelvis,” but that “everything else was completely gone.” He was uncertain how many people were killed by the lions but said that three sets of shoes and gloves were left behind. Fox said Friday that tools found at the scene were a “surefire sign” that the men were poachers. He added that the ax, which is the “quickest way to hack off the horns,” had traces of blood on it from another kill. The men had enough supplies to last several days, indicating that they planned to set up camp in the bush and track the rhinos, Fox said in a phone interview with The Washington Post. “We’re pretty convinced they are rhino poachers,” he said. “The general consensus in the game industry is that lions view a game viewing vehicle containing people as something entirely different from individuals who are walking on the ground,” Fox said. “At Sibuya Game Reserve we only view game from specialized game viewing vehicles and not on foot due to the extremely dense bush and thick forest on the Reserve. South Africa, home to the largest population of the world’s 30,000 rhinos, has seen a dramatic rise in poaching since 2007, Susie Ellis, executive director of the International Rhino Foundation, told The Post. “Numbers have gone from fewer than 10 in 2007 to well over 1,000 in the past few years,” she said. Anti-poaching efforts have led many reserves to create monitoring teams. Handlers use trained dogs as an early warning and homing beacons to track the whereabouts of their rhinos daily. Sibuya Game Reserve, near the popular tourist destination of Cape Town, is one of those open for safaris on the Eastern Cape. From the ocean to the bush, Sibuya’s wildlife spans from birds to Africa’s “big-five game” – lions, leopards, rhinos, elephants and Cape buffaloes. Rhino poaching carries a jail sentence in South Africa. Still, in 2017 alone, more than 1,000 adult rhinos were slaughtered. In recent years, poachers have moved from Kruger National Park, Africa’s biggest wildlife conservancy, to parks they perceive as easier targets, such as Sibuya, according to Ellis. This is not the first time poachers have targeted the Eastern Cape. In 2016, two Sibuya rhinos were slaughtered for their horns, and a third was severely mutilated. The crisis continues to haunt South Africa and has spilled into Namibia and Zimbabwe, Ellis said. According to Ellis, poachers are members of well-organized criminal networks driven by a demand from the Asian market. They view rhino horn, which is worth more than gold or platinum, as a valuable commodity, like elephant ivory or drugs. 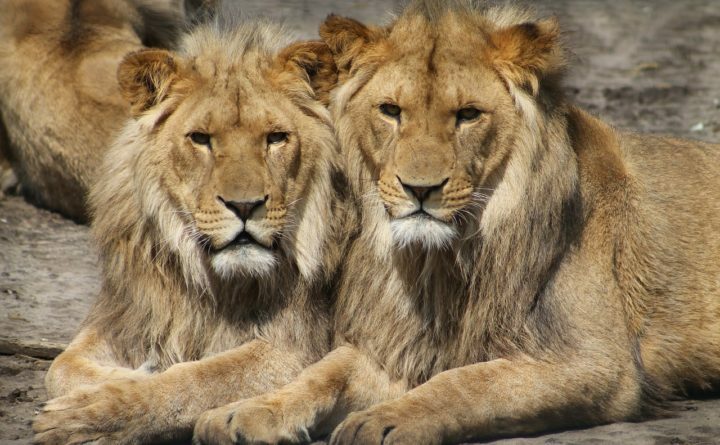 As news spread about the deadly encounter at Sibuya Game Reserve, some conservationists expressed approval that poachers may have received due punishment from the lions. “Rest in Pieces,” comedian Ricky Gervais tweeted.